Ever since I posted about Malcolm Brogdon, and maybe even before, I’ve been thinking that my next NBA post should be about Ben Simmons. There’s the obvious basketball connection – Brogdon is last’s year’s Rookie of the Year winner and Simmons is this year’s top Rookie of the Year prospect. But the main reason is this: Ben Simmons’s position on going to college provides such a stark contrast to Brogdon’s educational accomplishments. And the key words here are “college” and “education,” which are not always the same thing. I recently watched the One and Done / Ben Simmons documentary. The film presents a strong case for viewing Simmons’s year in college as a waste of time and, to some extent, as exploitative. It’s clear that Simmons made little effort to make the most of his college classes. But we also see a narrative where being a normal student is extremely difficult, even impossible, if you’re firmly planted on the road to the NBA. The doc only takes us to the 2016 NBA draft and ends with a note, in stark text, about his injury that summer . 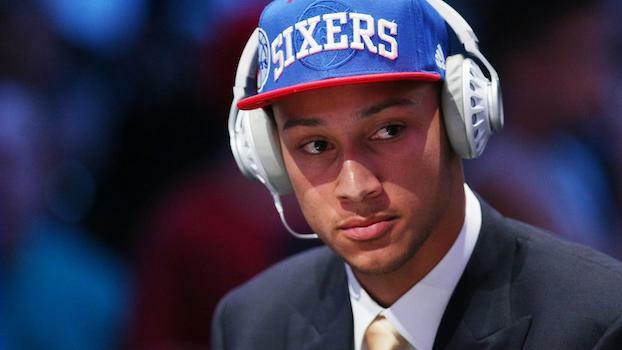 We can’t know how Ben Simmons would have turned out if he’d actually played on an NBA court last season. But judging by current his performance, one season’s delay hasn’t held Simmons back. Still, where he is now isn’t simply the result of time passing – it matters where and how that time was spent. Simmons himself doesn’t hesitate to say he learned more in a season on the Sixers’ bench than in a year playing college basketball. Here’s where we get back to differences between “college” and “education.” Attending college is one way of pursuing education, a particular kind of education. But there are other ways of learning and other places to do it. I can easily buy the idea that a year as an inactive player on Philadelphia’s roster did more to prepare Simmons for the NBA than his year at Louisiana State University. That doesn’t mean I devalue the kind of education one might achieve at LSU. It’s just that I can see how for Simmons it might not have been the right place at the right time. Besides, the option of college never, theoretically, expires, while there are only so many years even the best players are physically able to perform in the NBA. Putting aside for the moment the issue of Simmons being an exceptional case, and the fact that only a tiny fraction of young folks heading to college basketball could ever have a successful career as a pro, this story still leaves me with significant questions. How might the league, and the organizations connected with it, make sure that NBA prospects have access to education, not just college? How might talented young folks be given the chance to learn the life skills and have time for the emotional, mental, and intellectual development that could help them succeed off the court as well as on it? And for players who choose basketball over college, and make it to the NBA without a degree, how might teams support them in pursuing college education during their time in the pros? I’m going to keep thinking about these questions as I look at the careers and paths of other players. Feature photo credit: Brad Penner-USA TODAY Sports via VICE Sports.